Laptops Direct seems to be really spoiling us this year for Black Friday, as it has not only cut the prices of loads of brilliant Asus gaming laptops, it's also discounted the MacBook Pro 15-inch by a huge £590. This makes it easily one of the cheapest ways to get hold of Apple's brilliant MacBook Pro. It's also one of the best deals we've seen for Black Friday, and the day itself hasn't even arrived yet! We're not sure how long this deal is going to last with an amazing price cut like that, so if you've been looking for a killer MacBook Pro bargain, then grab this one while you can! 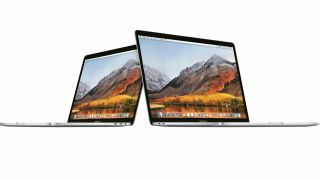 Make sure you check out our constantly-updated collection of MacBook deals as well for the best prices on Apple's laptops. This is a brilliant deal on a MacBook Pro that knocks £590 off the usual asking price. The 15-inch model comes with 16GB RAM, 256GB SSD and the Touch Bar as well. We'll be hard pushed to find a better deal on a MacBook this Black Friday.